Deep Purple, that hard rock institution that formed back in ’68, has been at it nearly non-stop with critically acclaimed albums and tours since reforming back in ’84. Lineup changes ensued, but by and large the band has retained its integrity even if only one member of the original ’68 lineup remains (drummer Ian Paice). However, this lineup of Purple is still 3/5 of the classic “Mark II” lineup that recorded Machine Head and Perfect Strangers, and is chock full of rock royalty. Vocalist Ian Gillan is intact, his voice no longer screaming, but still unique and recognizable as a one-of-a-kind. His partner in crime, bassist Roger Glover is here, joining drummer Paice to complete the legendary rhythm section. On guitar is Steve Morse (Dixie Dregs), first joining Purple in ’95 and this being his fourth studio album. “New kid” in the band is keyboardist Don Airey, celebrating his second Purple album here, but no stranger to these guys from his work with Rainbow, Whitesnake, Ozzy and many more. Airey’s first album with Purple, 2003’s Bananas, was a reboot of sorts. Gone was original member (and legend on the Hammond) the late Jon Lord, for the first time ever in Purple’s history. Also new on board was producer Michael Bradford, who was very much a collaborator. Bananas was a great album, but perhaps a little too commercial for Purple in the long run? Rapture Of The Deep is an attempt to steer Purple back to the sounds of ’71 while still retaining the modern edge that they gained with Bradford. It is raw and uncompromising, not slick at all, definitely and defiantly Deep Purple. Purple and Bradford have produced here an album that is not an easy first listen, but a very rewarding 6th or 7th listen. If you give it a chance it will become a favourite. Keep in mind, these guys are musicians of the 60’s and 70’s. Back when people still had attention spans, you were supposed to listen to an album 6 or 7 times, usually in one night! “Money Talks” kicks off the album with the growl of a Hammond B3, that’s how you know this truly is Deep Purple. Morse’s guitar, very different from Ritchie Blackmore’s, leaves a lot of space between the chords. It’s a different kind of riffing, staggered and jagged, fast and genius. Gillan’s lyrics are, as always, witty and full of humour. Only Gillan can chuckle in the middle of a lyric and make it sound like it’s suppose to be there, and he does. “Girls Like That”, the second song, is more melodic and commercial A little bit more “Bananas”, and exactly what the album needed after the vicious “Money Talks”. Track 3, “Wrong Man”, has one of the most powerful Morse riffs on the album, and it sounds great live (more on that later). Fantastic song, great chorus. The centerpiece of the album is the title track, “Rapture Of The Deep”. The guitar part sounds like a Morse trademark, slightly Arabic, rhythmically odd; just an entrancing song and worthy of the Deep Purple canon. As if this wasn’t enough, the next song “Clearly Quite Absurb” is simply one of the best ballads Purple have ever done. 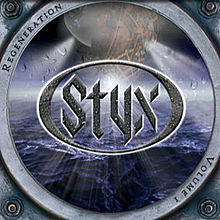 This is thanks to another trademark Morse guitar melody, and some wonderful singing by Gillan. The lyrics are emotive and optimistic. It sounds a lot like material from the wonderful Purpendicular CD, and keep in mind this is a band that doesn’t do a lot of ballads. There’s only this one ballad on Rapture Of The Deep. “Kiss Tomorrow Goodbye” is one of the heaviest tracks, Gillan attempting a scream here and there, sounding like the furious side of Deep Purple is alive n’ well. “Junkyard Blues” is anchored by a solid Glover bassline, simple but metronomic, and then that takes us into the final track, the atmospheric “Before Time Began”. At 6:30, “Before Time Began” is not for people with ADD! A great album, demanding of your attention. Worthy of your attention. Deep Purple have always had some kind of standards when it comes to studio albums. Even their weakest have some sort of integrity to them. Rapture of the Deep is not an immediate album, nor will it unseat Machine Head as the fan favourite. But it does serve to remind the world that Deep Purple are still a great band, within the confines that age brings with it. Deep Purple are in fact one of the best bands of this age, because they just refuse to sell out. The bonus disc here is a treasure, and I am so glad I re-bought this album (third time now) to get these songs! The “new version” of “Clearly Quite Absurd” sounds like a re-recording to me, with more orchestration. I’m not sure why this was done, the two songs have a similar feel even though they are instrumentally quite different. Both versions are equally great in my opinion. Yet even with a great song like this, Purple can’t get their new material on the radio! What a crime! “Things I Never Said” is a great song, a bonus track, with another busy Morse riff. This is originally from the Japanese release of the CD. Next up, finally released in its studio version (but recorded during the Bananas sessions) is “The Well-Dressed Guitar”. You may remember this instrumental workout from Deep Purple tours and live albums circa 2002 (check out the Live at the Royal Albert Hall CD). Then, five live tracks, the first ever official live tracks with Airey on keyboards! 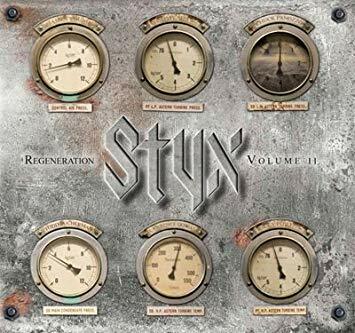 Two are from this new album (“Rapture” and “Wrong Man”), and there are three classics including — yes — “Smoke On The Water”. These tracks prove that no matter who is in the band these days, they still sound like Deep Purple. The other two live tracks are “Highway Star” and “Perfect Strangers”. I also have a single disc 2005 tin version from Edel Records. This one boasts an enhanced CD with studio footage and an EPK (electronic press kit video) which I’ve never watched.